mind. Fortunately, the weather will be in the sixties and low seventies, allowing us to leave Bear in the Rig for a few hours. The old guy (meaning Bear, not Al) needs some extra rest after a rather exciting, fun filled five days in Havasu. So, he doesn’t mind being left behind to catch up on some much needed rest. If temperatures were to get much warmer, this would definitely not be an option. 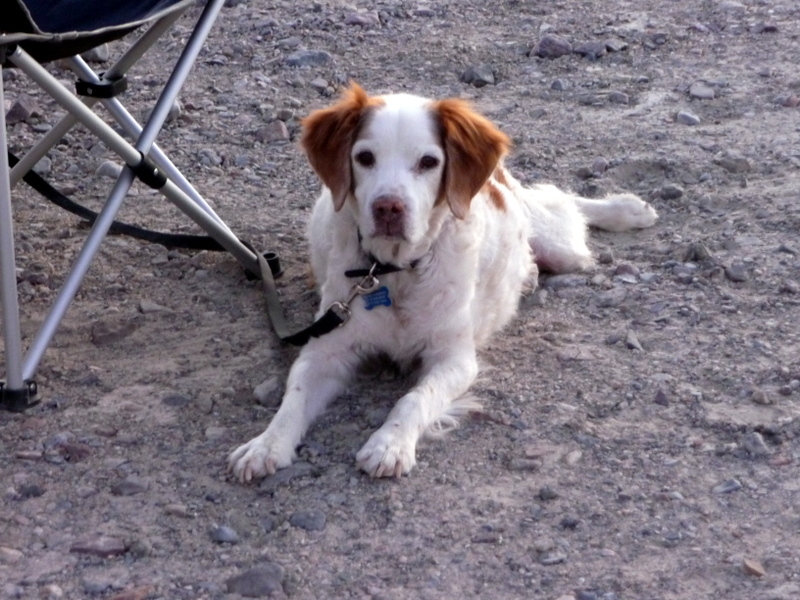 Pets are NOT allowed on any trails and are not allowed to be left unattended in your vehicle. 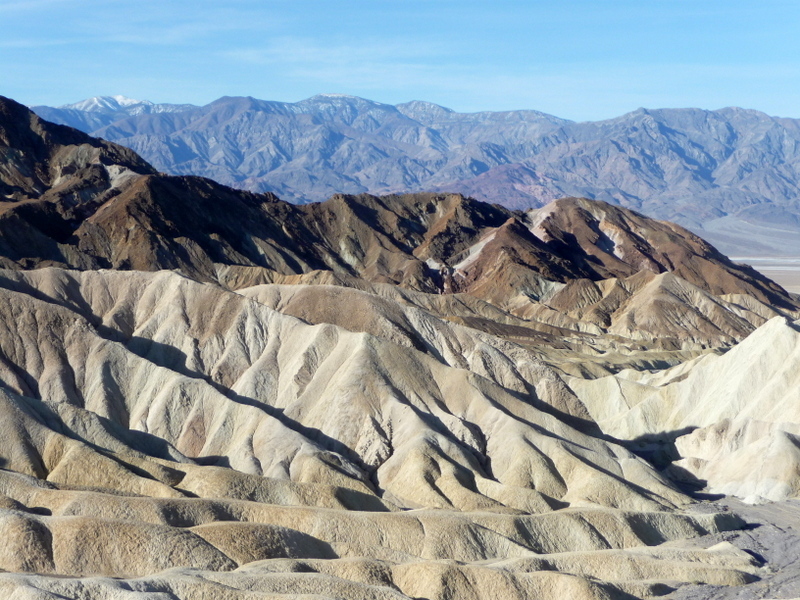 First stop this morning we head to Zabriskie Point and then onto Dante’s View. Dante’s View is considered the most breathtaking viewpoint in the park. 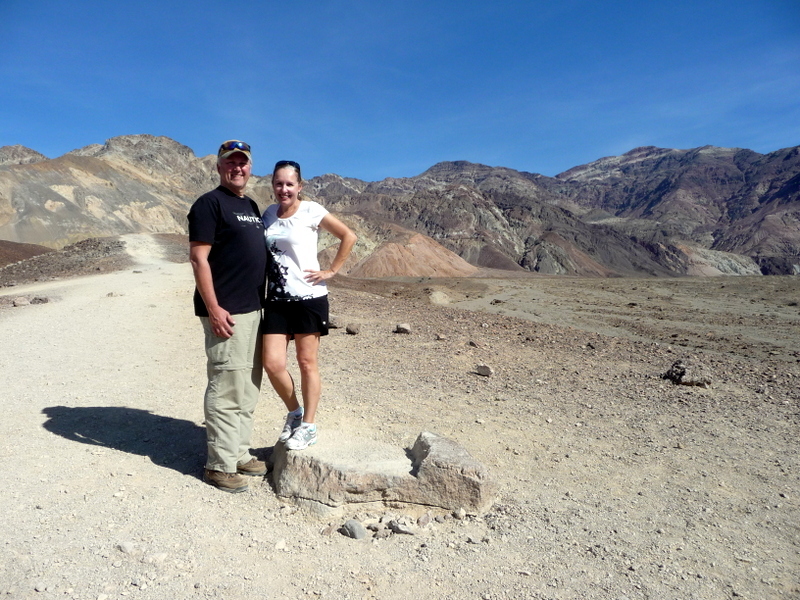 The overlook is more than 5000 feet above the floor of Death Valley and overlooks Badwater Basin. We are very glad we brought our sweatshirts along as the temperature is around 55 degrees and extremely windy at this altitude. 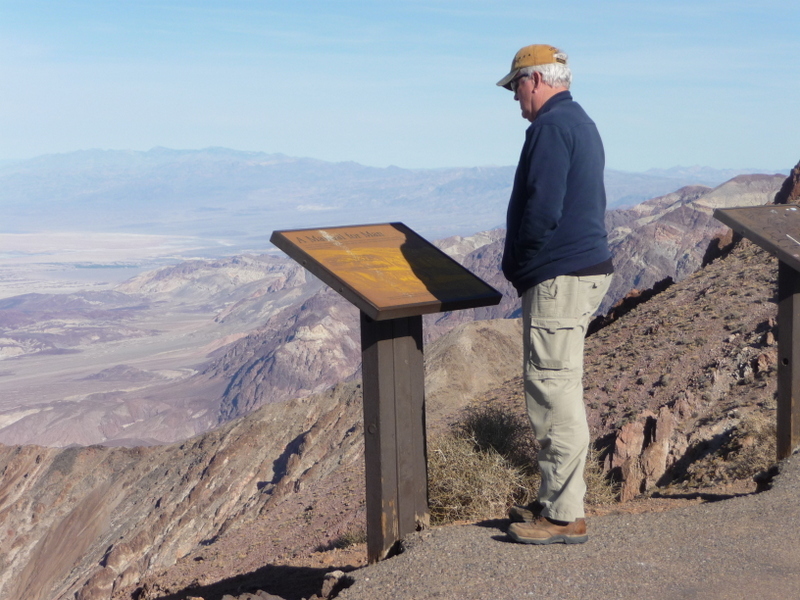 While admiring the views, we meet an elderly gentlemen who shared some of his experiences he encountered in Death Valley over the years. 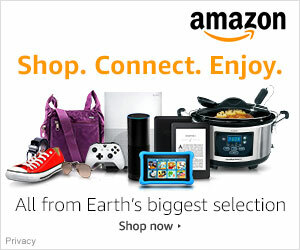 One of which was a marathon held in July with temperatures reaching 120 degrees. He was very proud of this accomplishment, righteously so. Al and I thought it sounded insane as did the bike race. I admire folks like this gentleman and at seventy he was there to hike Telescope Peak….11049 feet in elevation. 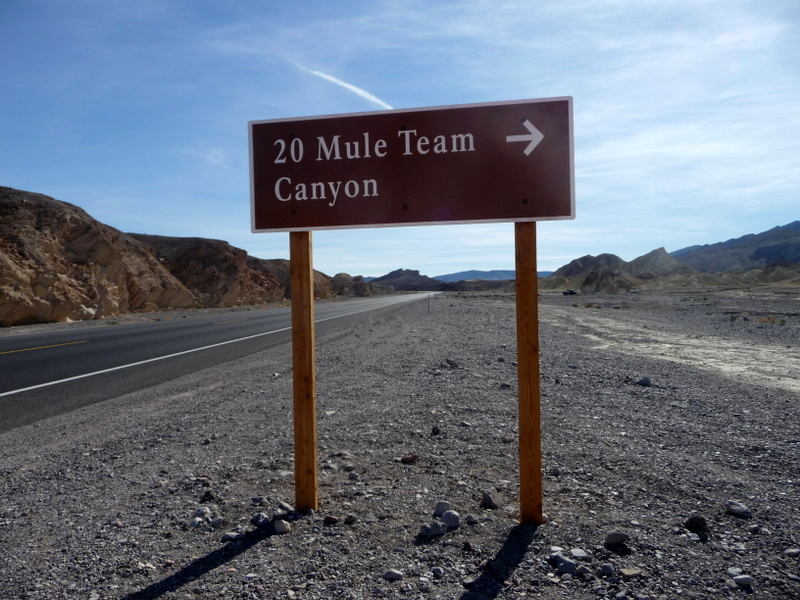 On our way back to the Rig for lunch, we take a side trip and venture down a dirt road known as Twenty Mule Team Canyon. This is a one-way 2.7 mile drive through badlands. The history of this road dates back to the days of mining for Borax in the Valley. It was a fun little side trip, one I would do again and stop a bit more along the way. We return to the Rig to find Bear still fast a sleep and I need to coax him to take a walk. 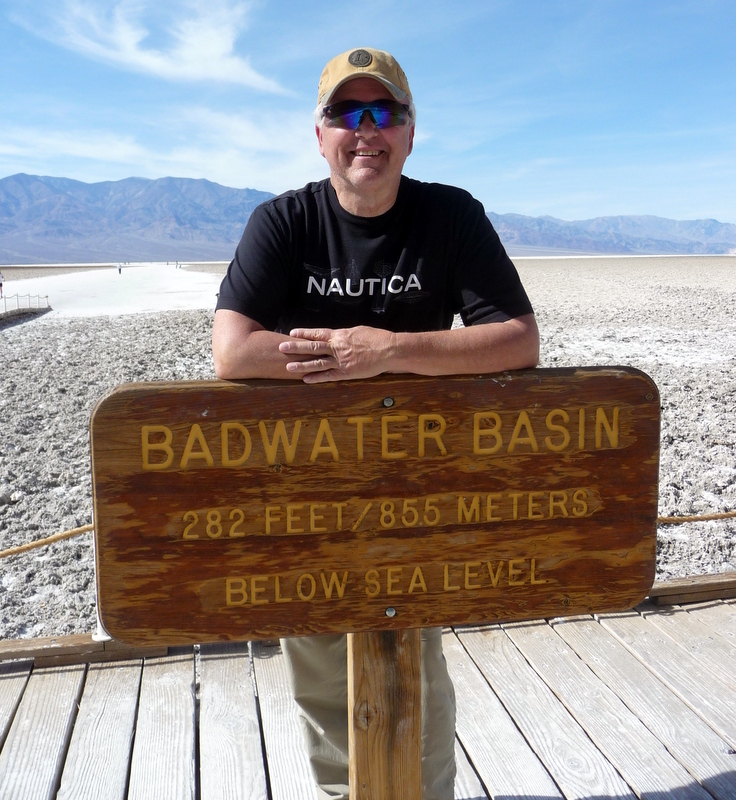 After lunch Al and I head to Badwater Basin, the lowest point in North America at 282 feet below sea level. 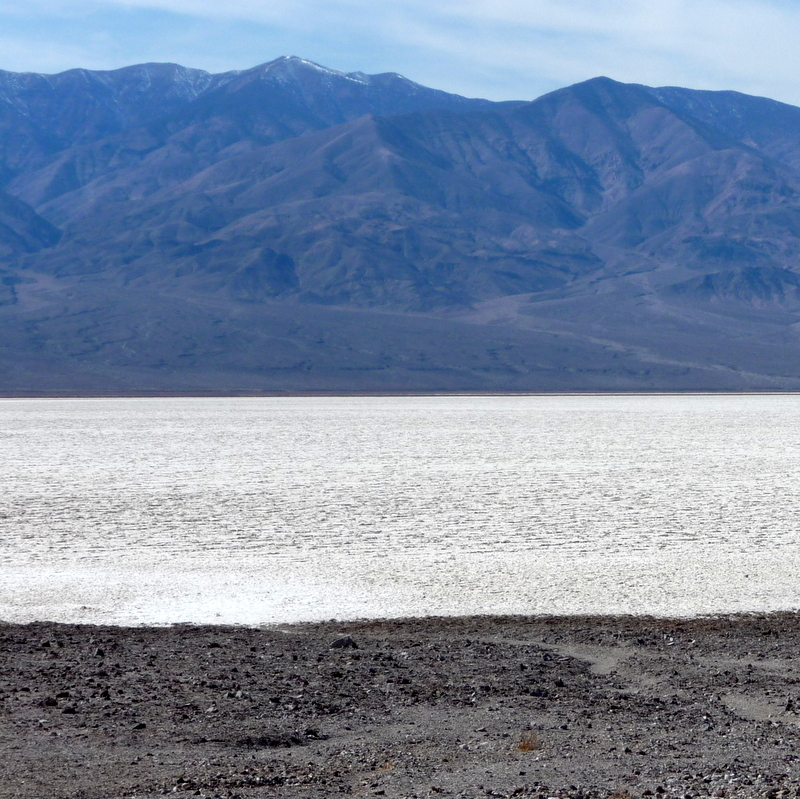 Badwater Basin is a vast landscape of salt flats. From a distance it looks like snow. 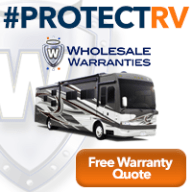 The salt residue sticks to our tennis shoes and leaves a fine coating on our truck floor mats. On our return to the campground, we take a detour by taking Artist’s Drive. Artist’s Drive is a one-way, scenic, nine mile paved loop. 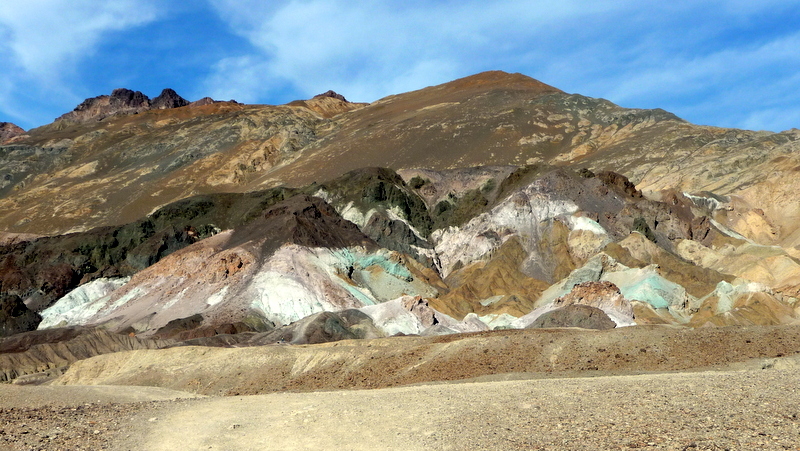 Artist’s Palette consists of multi-hued volcanic hills, best photographed in the afternoon. We would have liked to visit and hike Natural Bridge Canyon but the day was getting late and we wanted to make sure Bear was ok. We’ll just need to put that on the bucket list for a future visit. We return to the Rig and enjoy the rest of the evening with a glass of wine and once again watch the sun set. 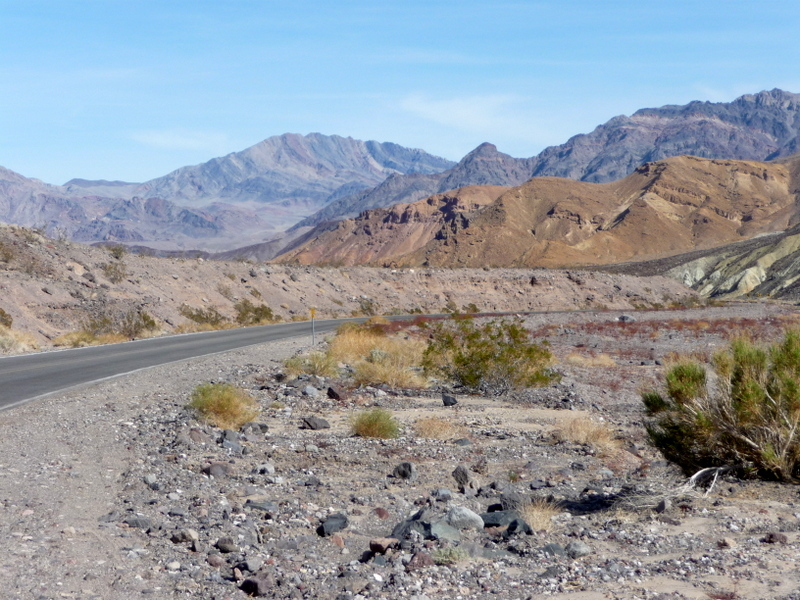 Tomorrow we’ll move to another campground and check out Death Valley to the north. Great post, I love DV. I will be following your adventures.